The first service update for AVReporter 2.5 is on the way to hit the market. Basic Reporter and Business Intelligence modules will receive significant feature upgrades. 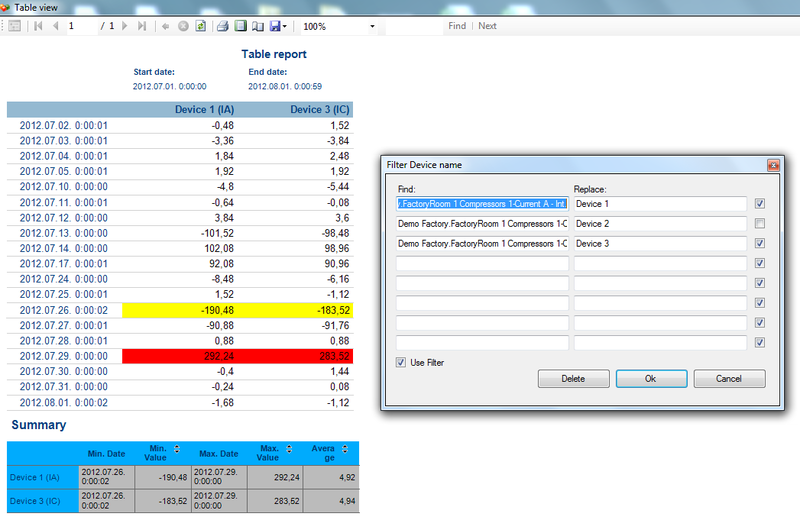 In this post I will let you take a peek into the improvements of Basic Reporter 2.5 SU1. The module is currently in the testing phase, and release is expected within a few months. - Users are able to add customized time intervals into the application, by modifying the appropriate lines within the configuration files of the software. Let's see an example: for a specific reason your company needs consumption information each week for the last 2 weeks, and also reading expected consumption values for the upcoming week, and you wish to display it inside 1 report. With the new version it is now possible! 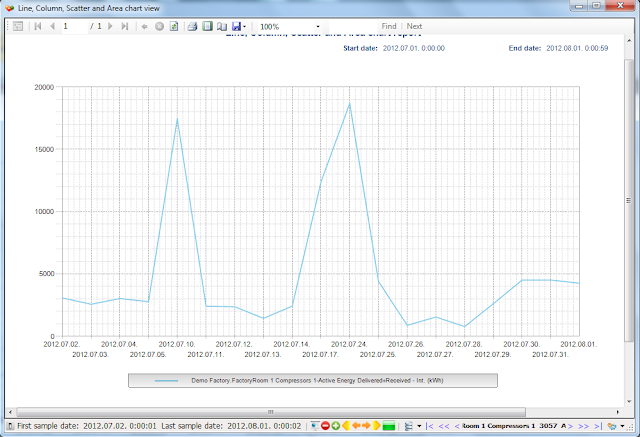 - Time of Use chart: Users are able to specify consumption/demand peak-values for weekdays, and weekends accordingly. 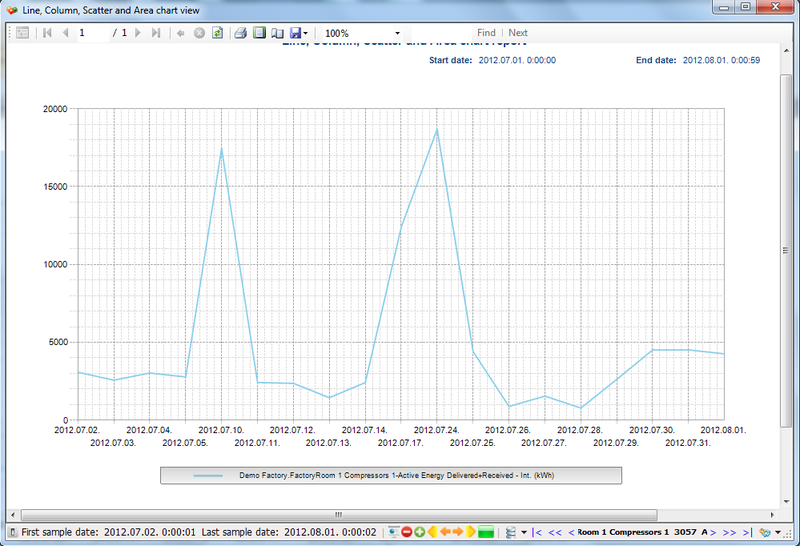 When the demand is higher in that period, the chart will display those values with different colors. 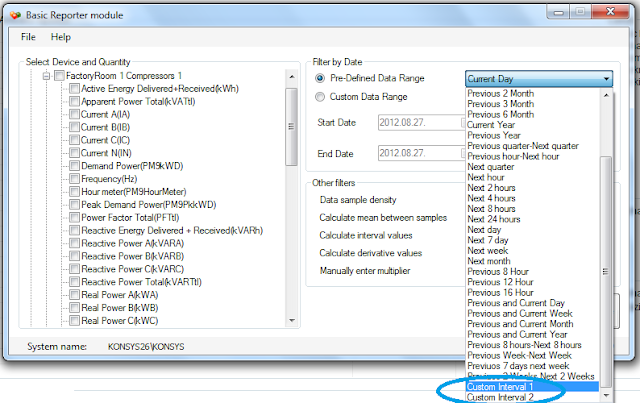 It is also possible to configure special days, for example national holidays inside the diagrams to use different values. 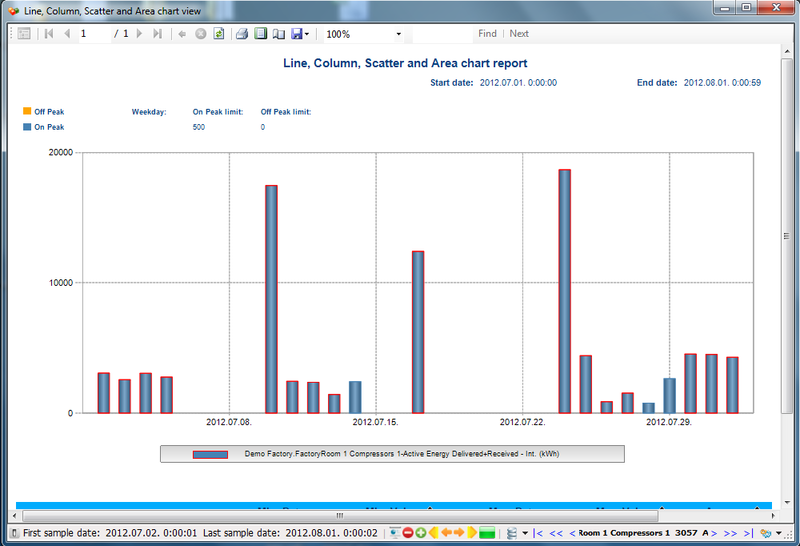 - The software is capable of displaying gridlines for the line-charts, aiding users to read values more accurately. - New function to filter for devices in the device list. Simply type the word you are looking for, and all the devices containing the word will be selected. 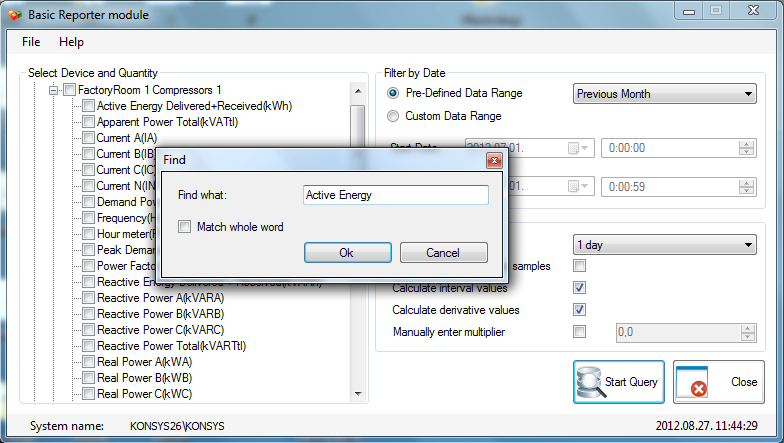 Creating an Active Energy report on all the measurement devices should be a much faster process now, for example. - Enable-disable function was added in the window of device renaming. 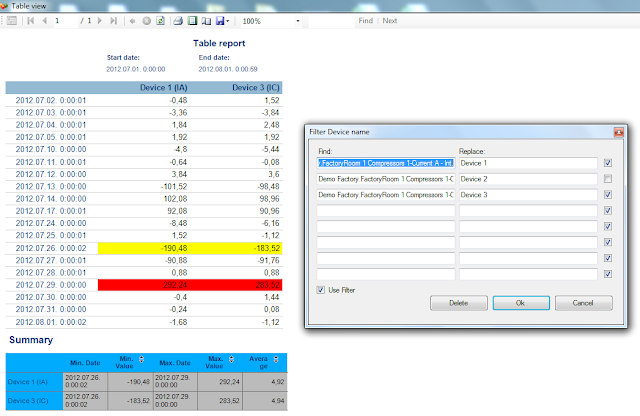 It makes possible to hide the desired quantities from the report. Follow the blog for more information about the upcoming features of Business Intelligence module!